Rhys has been walking my cocker spaniel for a couple of months now and I am extremely pleased with the service he provides. Jarvis loves his daily walks and gets on so well with Rhys. There have been many occasions when I have asked Rhys to do extra shifts with very little notice and he has been able to accommodate us each time. I would highly recommend Wag and Walk. Rhys has just started walking my dog as cover for my existing dog walkers holiday and other ad hoc dates. He is very reliable and punctual, my dog has taken to him very quickly and very much enjoyed their first walk together. I have a big dog who can be challenging at times and Rhys is great with him. Very reliable and very flexible. One of the cheapest around, also one if the nicest people I have spoken to! 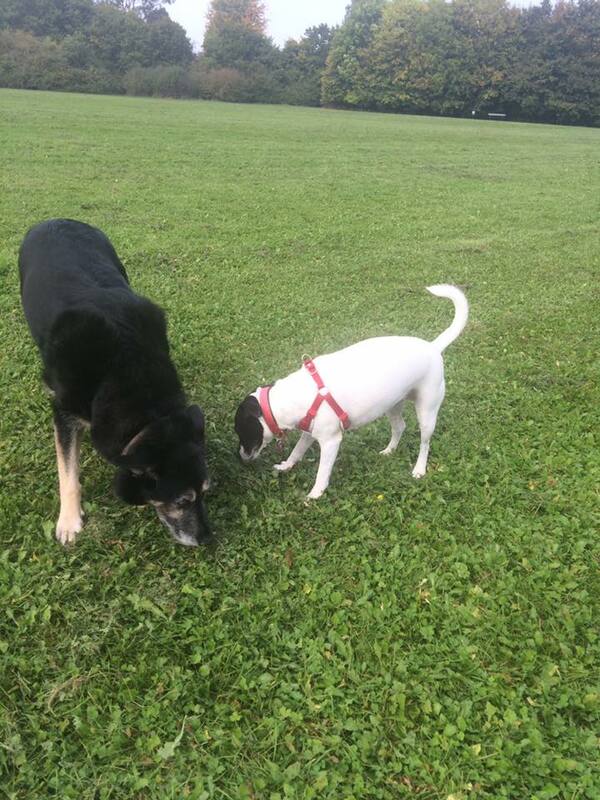 Benson and Millie love walking, playing and cuddles. They get all of this during their adventures with Rhys and are always very happy and content after their outings. We would highly recommend Rhys to take care of your precious pets! Great to have the peace of mind when at work that Rhys will walk or 2 Jack Russell’s. Rhys is reliable and punctual and our dogs are very happy! 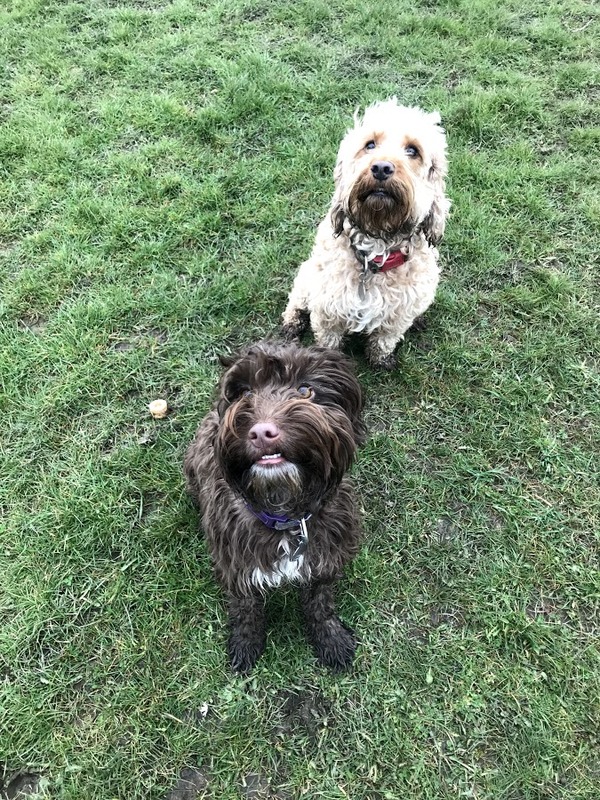 Rhys has looked after our cocker spaniel, Barney a number of times now and we have been really delighted with how he interacts with our dog. barney can be quite tricky with new people and especially men but Rhys is very relaxed with him and they are great mates now! Would highly recommend. Rhys has recently started walking our dog Henry. He is very accommodating as our walk dates are never the same day or time. Henry is a funny character and Rhys has been very patient with getting to know him and coaxing him out on his walks! Rhys has been looking after our puppy for 3 months now. It’s comforting knowing she is being well looked after when we are not home and she loves her walks with him. Rhys is very trustworthy, accommodating and excellent at communicating and fitting in with us. We would highly recommended him. Rhys has been walking our two dogs for the past few months and he has been excellent with them. It’s good to know they are in safe hands! He is incredibly flexible and has been accommodating for last minute changes to days etc. I would highly recommend him to other local dog owners! I cannot recommend Rhys enough. We have been using him since December,as a supply teacher I never know if I am working until that morning. He has been so flexible and worked with us on this. Never let us down and we can go to work knowing our dogs will be truly looked after. Thank you so much. What a gem. I highly recommend Rhys. He’s been walking my Jack Russell since October- we’ve recently moved and out last dog walker doesn’t service our area. Unlike them, Rhys doesn’t pack walk. Milo loves him (and he also has experience with terriers), he’s hugely reliable and I always come home to a clean house and clean and happy dog. Rhys’ service is great value for money. If you’re wanting a dog walker then I really wouldn’t look elsewhere. Rhys was a absolute star to accommodate us at short notice. Rhys already walks our dog and my brothers dog sitter let him down last minute so we contacted Rhys to see if he could help. Straight away their dog took to Rhys as he is quite a handful. Rhys is very gentle with our dogs and very polite. He hasn’t let us down once. Rhys is brilliant with my nutty Labrador, reliable friendly and very accommodating can highly recommend,would never use anyone else.!!! Rhys has been walking Alfie Morris for some time now and the improvements in our little dog are brilliant. His confidence is growing and although we still have some way to go with him he is happier when out and about. Rhys is calm with Alfie amd trust me that can be hard at times!! Rhys clearly loves what he is doing and I would highly recommend him to walk your dog. Rhys has been great from day one. He’s always reliable, accommodating and flexible and our dog absolutely loves his walks with him! Would definitely recommend Wag and Walk! Rhys is so reliable and so good with our dogs Alfie and Misha. We all enjoy him coming to the home. He gives extra time to ensure the dogs are settled before and after their walk. I would highly recommend Wag and Walk, Rhys provides an excellent service and the dogs love him.